This isn't the first time I have talked about Blow Ltd on my blog, and I very much doubt it'll be the last. I simply love these guys and the concept. For me, it works. 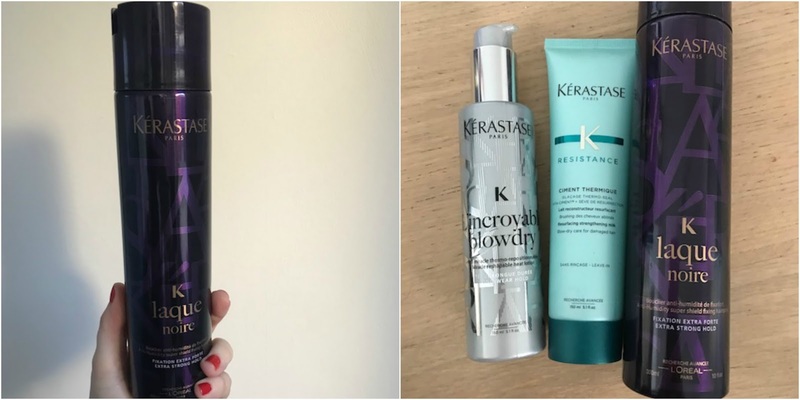 Although Blow Ltd recently launched at Debenhams in the Bullring, which you can read about here, they do still very much take on the role of the leading beauty services on demand service in the UK. So when I got offered the chance for one of their top stylists to come to my own home recently, I couldn't say no. With Christmas party's on the horizon - in fact, I know some people who have already celebrated with their colleagues - Blow Ltd can offer the answer to your problems. I absolutely love getting all dolled up, especially at this time of year. However, the issue I find with Christmas parties is that they tend to be on work nights - meaning that there is little time to get ready for the big night! 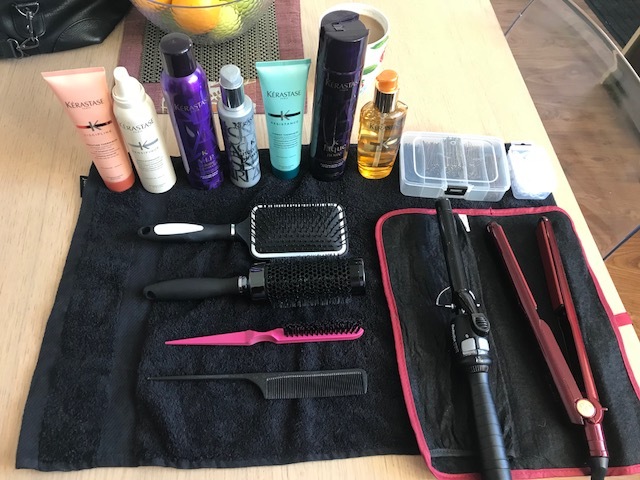 But whether it is coming to your office or home, Blow offer hair, make-up and nail services in the comfort of your own surroundings and at a time that suits you. All you have to do is book via the website or the app, and voila! 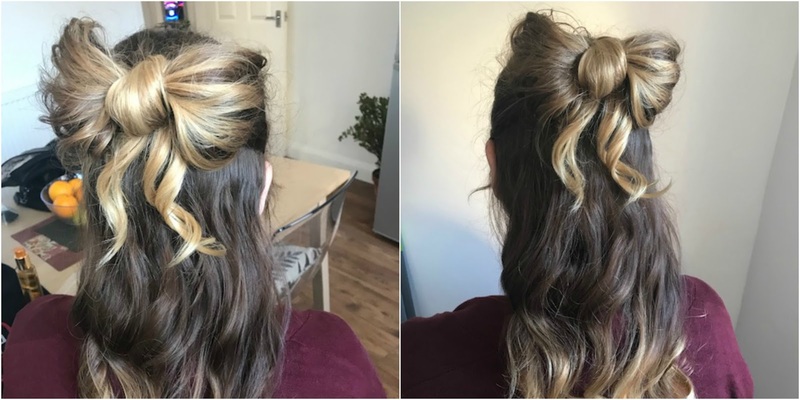 For me, I was keen to discover a whole range of styles that I can enjoy from Blow Ltd on my very own Christmas party evening, so I was delighted when Jo Maria, my Blow Ltd stylist, arrived with so many hair ideas. Although I had checked out some styles on Pinterest, it was great to share ideas with Jo Maria and collectively choose three styles for me to try prior to the big night. 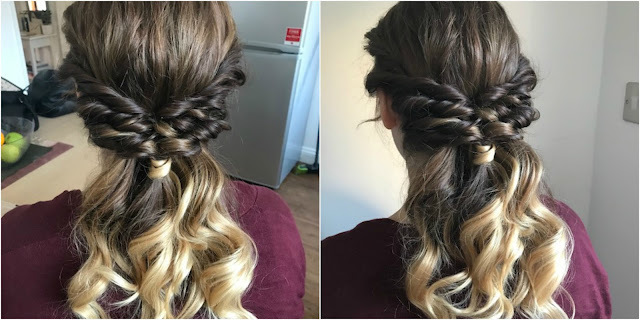 For the first look, I chose a style that I would normally go for; a waterfall braid. 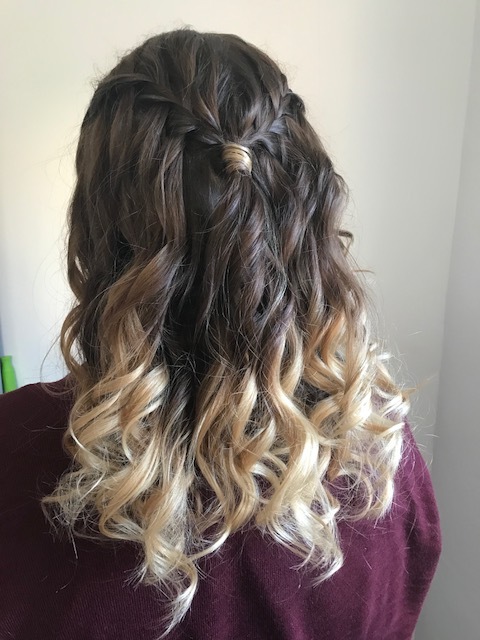 It is one that I have previously chosen for weddings and other special events as I think it is super pretty and love how it makes my balayage flow beautifully. With the help of Kerastase K Laque Noire Hairspray, it helped secure the style amazingly and I absolutely loved the finish of the look! This look would look perfect with a super sparkly and festive outfit. For my second look, I really wanted something super festive with Christmas parties in mind. Jo Maria suggested a bow-style look, and it was so adorable I couldn't say no! Thanks to how the bow was styled, it would be perfect for both curls and straight hair. I loved the bow; it was fun, festive and so different to what I'd normally go for. The bow would look perfect with a fun, colourful outfit as the hair style really does complete the perfect pocket rocket look. Me and Jo decided to go for a plait style for my final look. Yet again, a style I would never go for, but I completely loved it! I think Jo did a beautiful job on this one, and thanks to her creativity and skills, she made it even better than the photo inspiration. I think this look would look perfect for an understated outfit where you want the full attention on the hair and make-up. I absolutely loved my time with Jo Maria, whose Instagram you can see here. She was incredibly creative and it was so enjoyable to bounce ideas off each other, making it a wonderful Sunday afternoon! If your Christmas party is on the horizon, head to the Blow Ltd app and book the treatment of your choice. 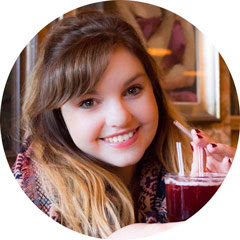 For £10 discount, use code BETH10 at checkout - enjoy! *I was gifted all three hair styles and treatments from the team at Blow Ltd for this blog post.